For women, a dress is not what you wear, but how you wear it and why you wear it. Jumia Egypt stocks an array of designer clothes and dresses for women that come in variety of shapes, sizes and colors. Choose from solid colors including black, red dresses, grey and shades of blue. They also come from some of the most trusted clothing brands including Fashion, Zanzea, American Eagle, Holife and Sunshine. 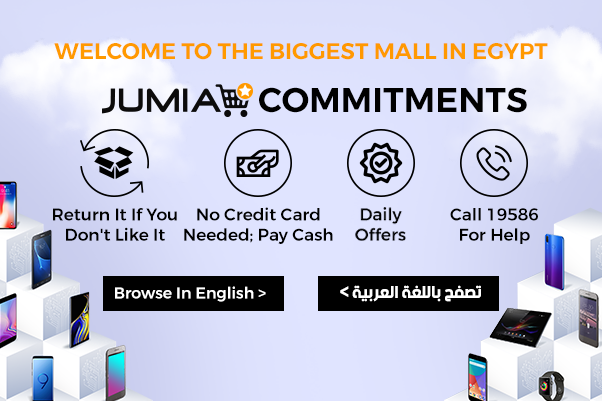 Shop conveniently for women clothes online with Jumia Egypt. Women's fashion keeps changing but Jumia Egypt's women’s clothing collection stays updated all the time. If you are planning on attending a business meeting, check out our formal dresses collection. Here, we have dresses from different designers, which also come in different colors and sizes. If you are breaking for a vacation and heading for the beach, check out the beach dresses and summer dresses and choose what suits you best. We also have a huge collection of casual dresses ideal for parties, movie nights and such. You can now conveniently shop for women dresses online without having to go to physical clothing stores. Shop online with Jumia Egypt where we have trendy fashionable clothes. Order your clothes now and have them delivered to you.